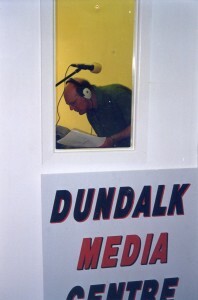 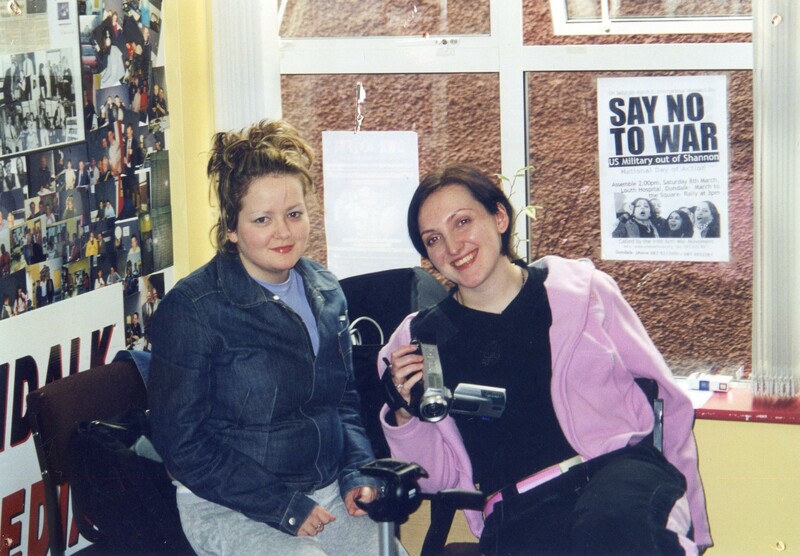 Official Opening of Dundalk Media Centre Limited 2002. 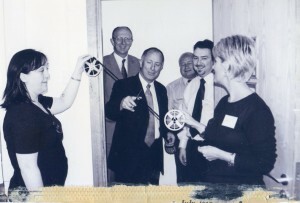 Teresa Lennon and Tina Harris of Dundalk Media Centre hold a reel of video tape (Joe Martin’s) while Minister for Communications Dermot Ahern TD cuts the tape. 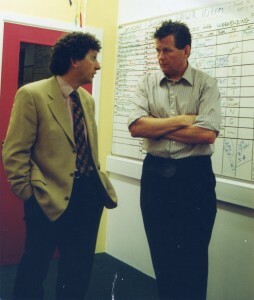 Looking on are Con Shanahan, FÁS, Alan Byrne, Dundalk Media Centre Manager and Dominic McKevitt, Partnership Action Limited. 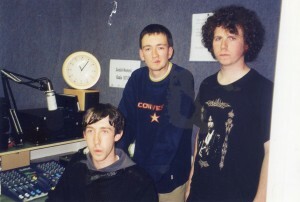 Adam Matthews and Adam Markey with Danny O’Hanlon probably in on The First Cut show on Dundalk Weekend Radio 107FM. Tony O’Hagan recording his show Dancing with Dinosaurs for DWR 107FM. Ciarán Kissane, Broadcasting Authority of Ireland chats with Alec Fennel (RIP) at the launch of the Media Centre. Alec was one of the first directors and he brought a wealth of broadcasting experience to the production of radio shows. 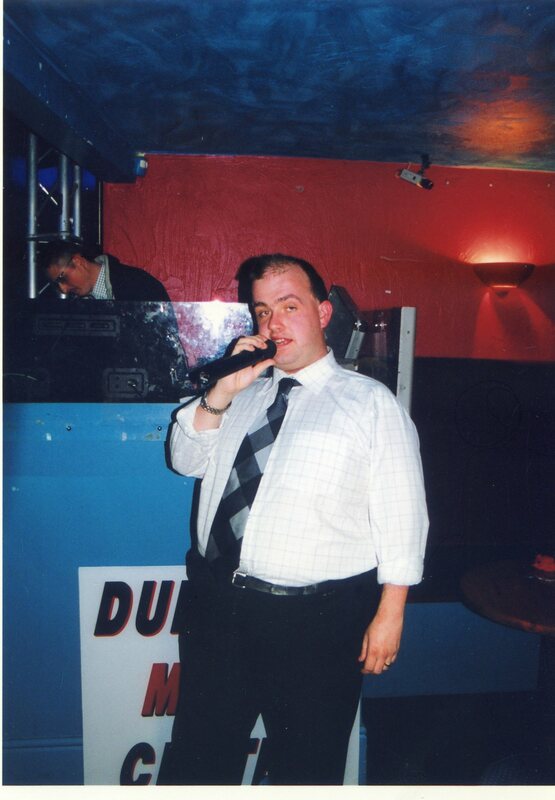 Jason Kelly thanks his colleagues at the Volunteer of the Year awards held in Vicar’s Nite Club. 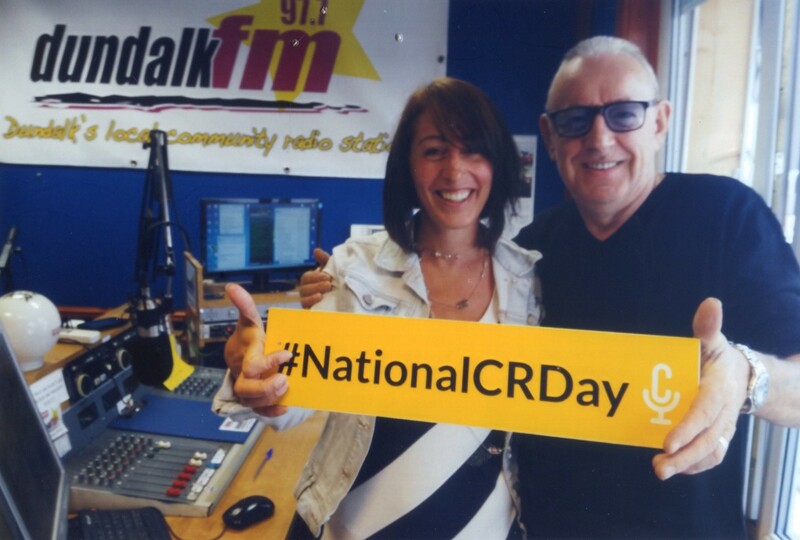 Tracey Hanby and Don Baker celebrating Community Radio Day during the CRAOL Award winning Takeover show. Paula Flynn presenter of Peaches and Scream and Helen Lavelle, Let’s Rock, DWR 107FM presenters and videographers.